We’re proud to feature the following teams who are using Kickball Coach to manage their lineups. 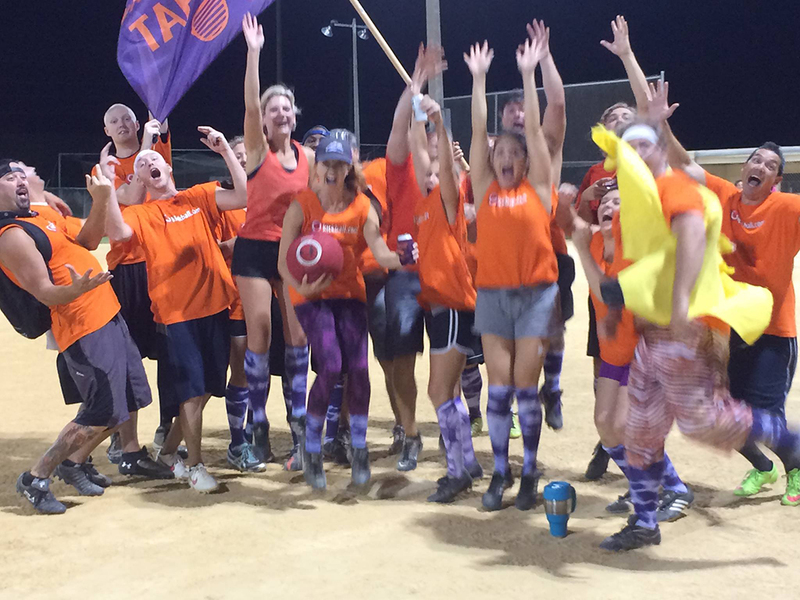 If you would like your team featured, please email us at kickballcoach@beckersoft.com with your team’s name, what years, seasons and leagues you’ve played in, a team bio and a picture of your team. Founded by Karen Williams in 2014 as a coming out of retirement team, Turn Down For What is not just a team name, it’s a way of life. This is the team that was the inspiration for creating the Kickball Coach app.